For Las Vegas Bail Bonds call 702-462-9200 or Online in 3 minutes or less. eBAIL is BBB accredited, NV Department of Insurance licensed and a Court authorized professional Bail Bonds company in Las Vegas. eBail is the only company that offers Online Bail Bonds in 3 minutes or less by clicking here or Bail by phone by calling 702-462-9200. We can also come to your residence or place of work. eBAIL is discretionary and confidential and our reputation as the premier Las Vegas Bail Bonds Company speaks for itself. Read our reviews from Attorneys and clients, eBAIL is the most preferred Bail Company of the best Attorneys in town. 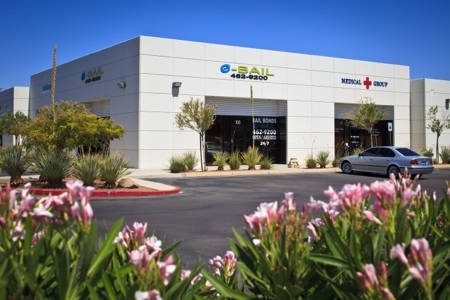 eBAIL’s beautiful office is located at 3100 E. Charleston Suite 108, Las Vegas, NV 89104 and surrounded by lush landscaping. The office is conveniently located just minutes from all the Courts and Jails. This central location makes us the easiest Bail Company to get to and fastest to post Bail Bonds in Las Vegas. Our friendly staff will make you feel comfortable by answering all your questions and guiding you through the entire process. eBAIL is what you expect out of a professional organization. For your Las Vegas Bail Bonds needs the only choice in professionalism and service is eBAIL Online in 3 minutes or less. eBAIL offers Bail Bonds in the greater Las Vegas area including North Las Vegas, Summerlin, Green Valley, Spring Valley and Henderson. National Bail Bond Service is also available.